Local government takes upon itself important tasks and are prime movers in the implementation of new developments in most welfare societies. How it has managed itself is clearly not an unimportant matter, but it is something we know comparatively little about. 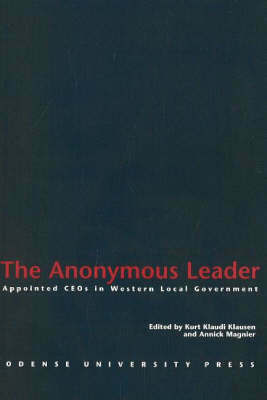 This volume is concerned with the top civil servants in local government, the Chief Executive Officers, those who form the link between the political and the administrative system. Based on a statistical survey, this is a comparative study which looks at fifteen countries: Australia, Belgium, Denmark, Finland, France, Great Britain, Ireland, Israel (the only country not to conduct the survey), Italy, Norway, Portugal, Spain, Sweden, The Netherlands and USA. Potentially, the CEO holds an important position in local administrative and political life, yet we know little about them, how they are recruited, how they regard their own role and particularly their position vis-a-vis the political system. This is what the contributors set out to explore country by country, and the results are discussed in two overview chapters.